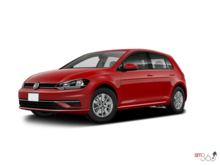 Your Volkswagen will be sure to offer you many kilometers of driving pleasure and confidence on the road. We want to help make sure that every experience with your new Volkswagen is as enjoyable as possible even when the unforeseen happens. That is why all of Taylor Volkswagens New Cars have Platinum Tire and Rim Protection and Platinum Key Coverage. An easy solution to lost, stolen, and damaged keys. Most vehicles today come with technologically advanced keys and remotes, and the cost to repair or replace and reprogram them can be unexpectedly steep. 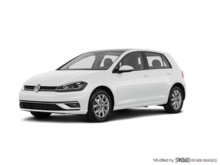 Interested by the 2019 Volkswagen Golf Alltrack 1.8T Execline DSG 6sp at w/Tip 4MOTION ?